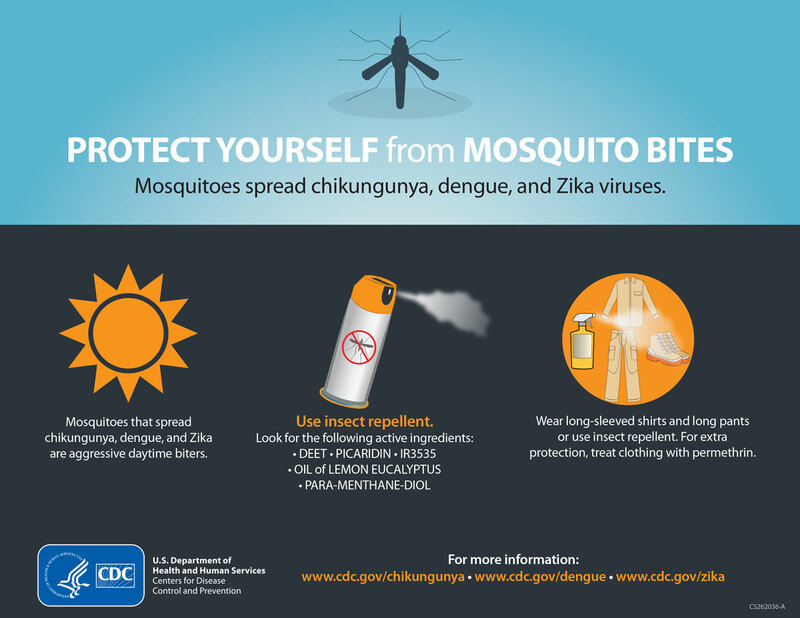 For more information regarding the Zika Virus and ways to protect yourself, visit the CDC Website. Children Groups needing Immunizations For Start of 2016-17 School Year: Preschool – Must be up to date. Kindergarten- MMR, Chickenpox, DTaP, Polio 6th Grade – Meningitis, Tdap, & 2 doses of Chickenpox. 12th Grade – Meningitis Call for an appointment or to verify what your child may need at 392-6241.